While many people are attracted to solar energy because of its eco-friendly nature or because of the long-term savings it represents, others like the idea of becoming energy independent and perhaps even going off-grid. Unfortunately, the rise in public interest in solar energy has led to the proliferation of hundreds of companies who claim to be experts in the design and implementation of solar systems. The reality, however, is that mechanical, electrical and plumbing engineering (MEP) specialists are most qualified to install and optimize solar design projects. For a solar panel energy system to truly function at its best, a qualified energy specialist will need to determine exactly how much energy your household needs, the number of direct sunlight hours your specific location requires, along with deciding if battery backup is required or beneficial. Unqualified installers, or people who attempt to install a PV system on their own without prior experience, run the risk of being left with less energy than they need or not taking full advantage of the solar energy on your property. A successful solar energy system will allow you to get the most energy production for the least cost. 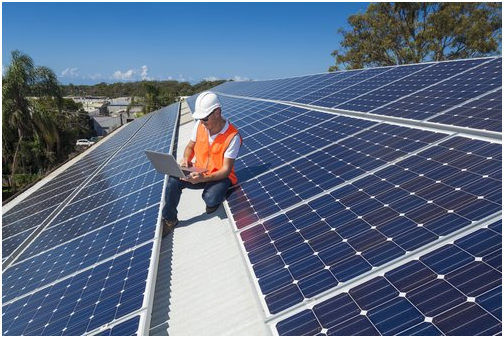 Installers who do not carry out a complete production modeling the comparison of cost and performance of different solar panel equipment will most likely leave you with a system that is more expensive while producing less energy than other more economical options. When searching for the best installer of a solar panel system, make sure that the company has experience with installing different types of solar energy systems available today such as photovoltaic and thermal solar energy. Furthermore, a true energy specialist will not simply just install the panels, but will find ways to improve the overall energy efficiency of your home so that you can make the most use of the energy the panels capture. If you live in southern California, K2D Inc. is your source for MEP Consultants in Los Angeles that bring professional experience to the table. K2D have ample experience in everything from Solar PV, to solar thermal design, to solar battery storage systems, in both residential and commercial areas. Making the decision to switch to solar energy is both good for the planet and your wallet. Working with experienced MEP Engineers in Los Angeles such as the professionals at K2D assures that you get the most from your investment. To learn more or to schedule a consultation please contact K2D at 310.305.1555 or visit www.k2d.com for further information.